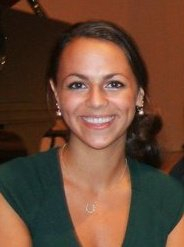 The Ministry of Education of Spain has awarded CofC graduate Jocelyn Leving (Spanish ’11) a “North American Language and Culture Assistantship” to teach in the K-12 school system of Madrid, Spain for the 2011-12 school year. Jocelyn has been placed in the school EIS Guadarrama where she will be working four days per week. Guadarrama is a small town located approximately 40 minutes outside of Madrid. Jorge Marbán, Distinguished Professor Emeritus, taught Spanish at the College of Charleston from 1976-2002. He created the Italian program and taught Italian until 2008. In 2000, he received the College of Charleston Distinguished Research Award. As a teacher, Professor Marbán was dedicated to his students. Although his love was literature, he taught all levels of Spanish and Italian. He spent countless hours in his office providing students with extra help. His devotion to teaching went beyond the classroom. He was the first faculty member to take a group of students to Spain, which he did for many years. Many of his former students have kept in contact with him throughout the years. As a researcher and scholar, his professional activities are numerous. His research interests covered Spanish Peninsula and Spanish American literature and his work has been published in academic journals, book chapters, and literary dictionaries. His books include: Camus y Cela, el drama del antihéroe trágico, La Florida: cinco siglos de historia hispánica, La vigilia del vigía: vida y obra de Arturo Uslar Pietri, and José Agustín Quintero: un enigma histórico en el exilio cubano del ochocientos. While undergoing treatment for cancer, he completed his last book, Confederate Patriot, Journalist, and Poet: The Multifaceted Life of José Agustín Quintero. Professor Marbán’s selfless dedication to the College is noteworthy. He served on many important committees for both the College and the Department. As a leader in the Department of Hispanic Studies, he was always ready to work for the betterment of the students and the department. He was a mentor to many of his colleagues and set an example as a teacher, scholar, and member of the College of Charleston community. For further details on Dr. Marbán’s life, click here. Instead of flowers, his family asks that donations be made to the American Cancer Society (lung cancer research), South Atlantic Division, P.O. Box 100902, Columbia, SC 29290, or to Hospice of Charleston Foundation, 676 Wando Park Blvd., Mt. Pleasant, SC 29464.